To most, interactivity signifies a response to user input and action. 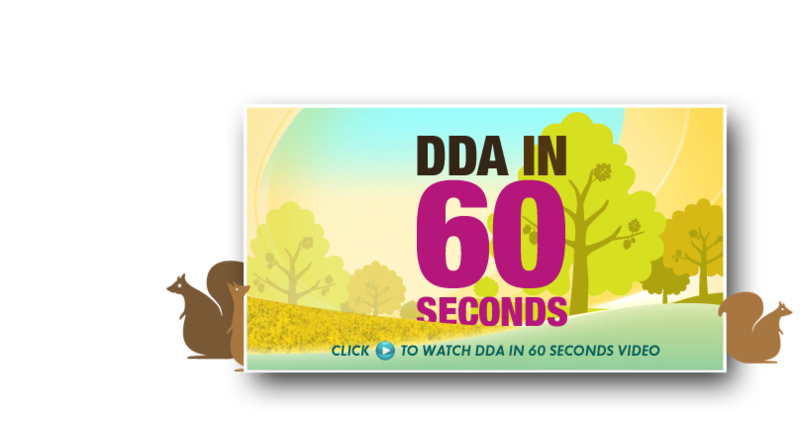 For DDA Interactive™, a pioneering marketing and advertising agency, its meaning holds much more. Not only do the corporate and medical websites, eLearning programs, and virtual environments we develop respond to user activity, but they also engage audiences through innovative interactive technologies that encourage and reward action. At DDA Interactive™, our goal is to do far more than entertain; we aim to captivate by integrating interactive media and services never before seen or implemented. Since our inception, DDA Interactive™ has pushed the boundaries of conventional thought, to cultivate the reputation we uphold today: One of the most technologically advanced advertising organizations on the planet. We are a full-service interactive studio that can handle any and all requests beneath one roof, from advanced custom programming to Hollywood-caliber video productions, interactive website development, and more. Instead of following suit, we identify emerging technologies and generate our own, offering quality services that cannot be found elsewhere. In today’s segmented world, it is rare to identify a full-service provider of interactive technology. Most advertising and marketing agencies specialize in niche services, whereas DDA Interactive™ pushes to perfect them all. 1: DDA Interactive’s™ capabilities as an interactive technologies provider. Contact us today to learn more about our groundbreaking services. • Interactive, Whats in a name? • If you can dream it, we can make it!